We have manufactured a prototype of a voucher punching device. With this simle machine you can make several holes in paper sheets. I've just made a prototype of a text perforating machine. 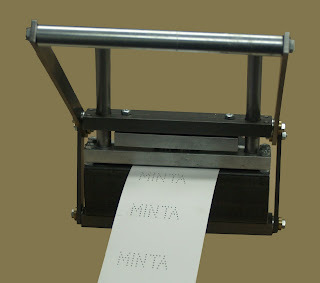 With this device you can punch "MINTA" (sample in Hungarian) text to paper, card or leather. Have you any idea how could I use and how should I develop this paper punch?